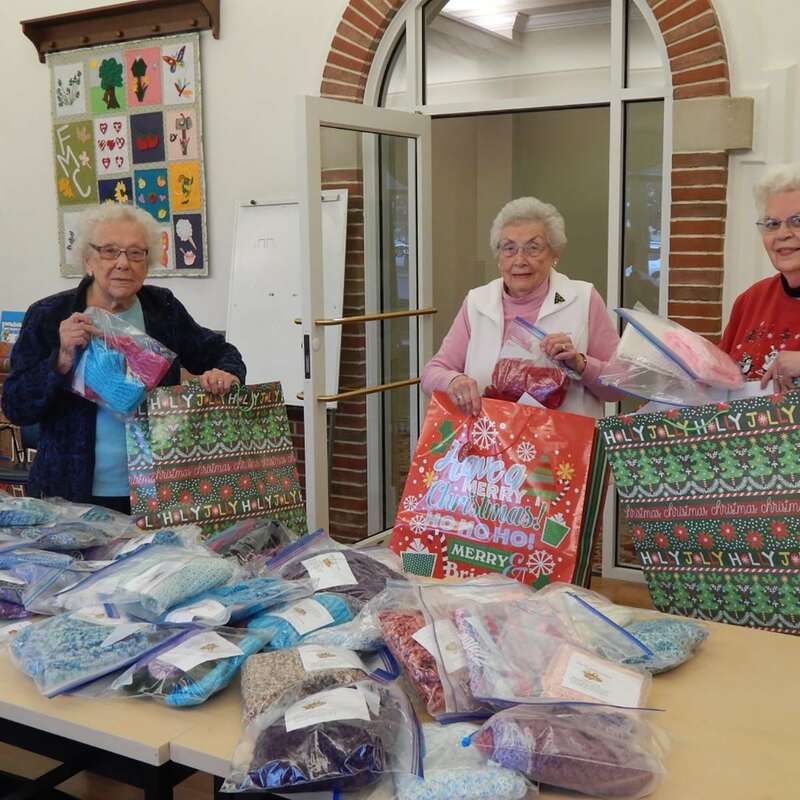 A nearly year-long goal was met recently when handmade items were delivered to the Salvation Army in Pottstown by representatives of Busy Hands-Warm Hearts, a needlework group at Frederick Living. Early in the year the group decided to set the goal of making 100 hats, scarves, and/or mittens by December with the intent of donating them to a local charity. Residents who are not members of the group were invited to make such articles also. When another delivery was made there in late October, it was learned that the Salvation Army had a need for the very items already being crocheted or knitted. At that time the group decided to donate everything made for the project to this organization. Members were also pleased to find that they had exceeded the goal of 100 items; in fact the donation provided 28 scarves, 22 pairs of mittens, 65 hats, and 8 hat/scarf sets. All were happily received and will be gratefully used.